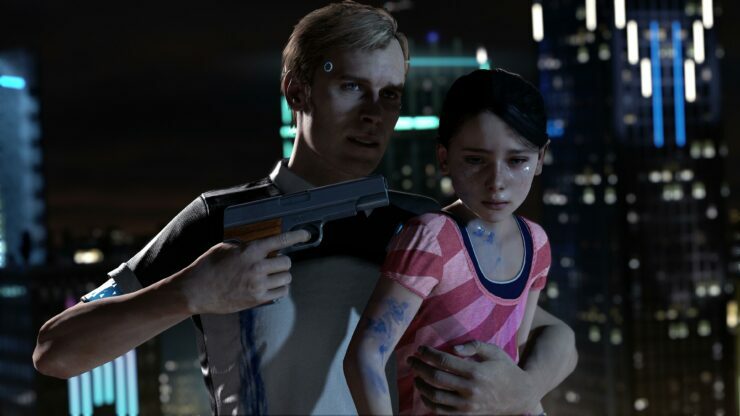 Speaking to French website Le Nouvel Observateur, Quantic Dream Founder David Cage talked about the studio’s goal to respect videogame conventions in Detroit: Become Human by telling the story entirely through interactions rather than cutscenes. Yes, we wanted to do something that perhaps respects the conventions of video games. We tried above all to tell this story through the interactions and never through the cutscenes. It’s easy to tell a story through cutscenes, but you do not buy a game to watch a movie. We buy it to live a story. David Cage then reflected on all the games developed so far by Quantic Dream and the learning that came with them. For the twenty-one years Quantic Dream existed, it has been a huge learning experience and a lesson of humility. With each game, we realize everything we wanted to do but we did not succeed. It is an extremely demanding medium because we are trying to invent something that does not exist. When we started talking about narration in a game with “Fahrenheit”, we were treated as “crazy”. When we talked about emotion with “Heavy Rain”, we were told it was “anything”. Game after game, we are facing a wall, permanently. This wall is there, and we try to get through, to push the limits. With “Detroit”, we try to go beyond the sum of the things we learned. Kai enjoyed his time with Detroit: Become Human, though he pointed out that it’s not a major departure from previous Quantic Dream games. The game debuted at the first spot of last week’s UK chart.